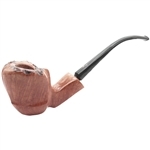 Small Carved Cradle Italian Briar Pipe - Charmingly small pipe is a perfect size to carry in a pocket. 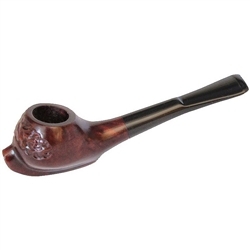 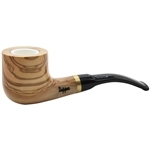 The pipe bowl has a bit of rustication on the front side and the bowl sits in a carved cradle. 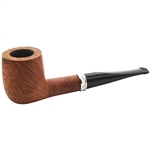 The tapered vulcanite saddle stem is straight and stamped "Italy" on the underside. 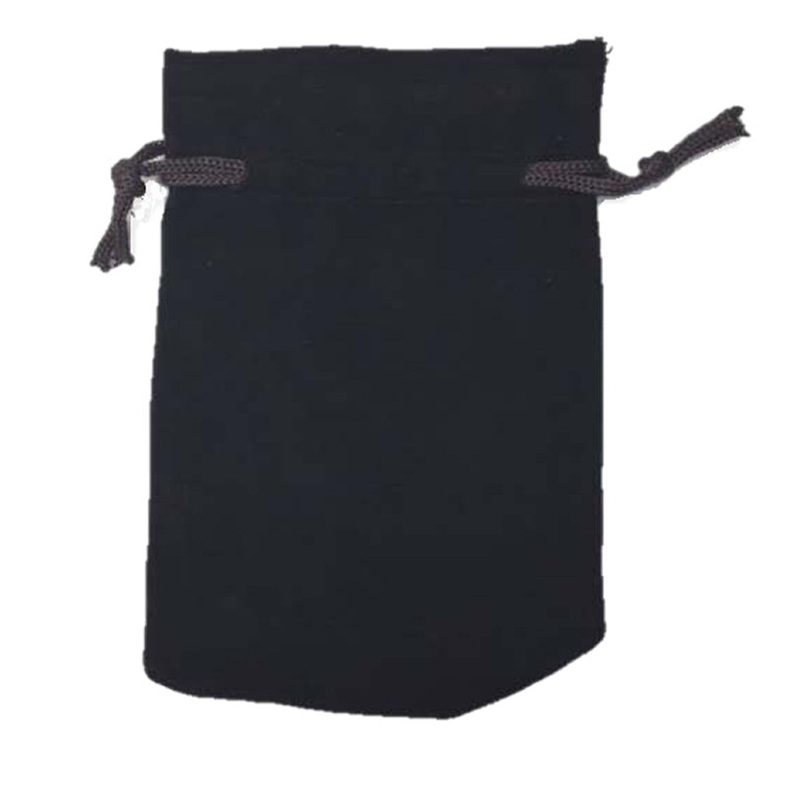 It comes in a black velvet drawstring pouch.